Just watch The Magnificent Seven instead. First of i like adam sandler but this movie is awful. The critics seem to give him a hard time lately but he has done some ok decent movies and they all made money. but this one is dreadful. sandler plays this role very straight and leaves it up to the other actors for the laughs which are few to be polite. 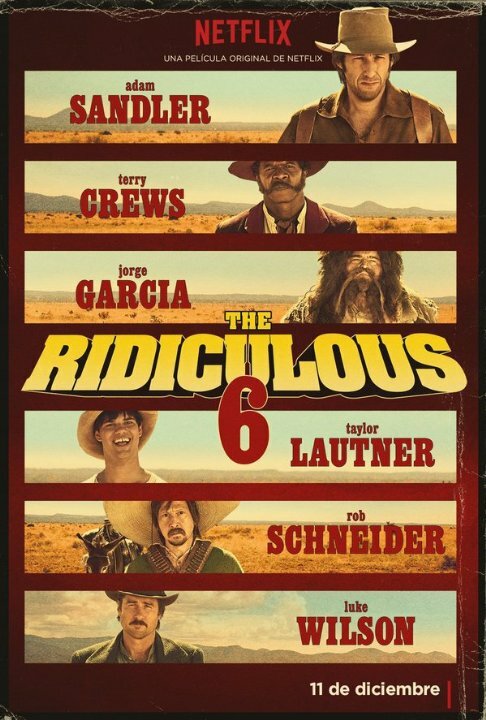 sandler plays a guy who has been raised by indians when his bank robber dad turns up he gets kidnapped and sandler sets out to try and find the money to release him , along the way he ends up meeting various half brothers and he ridiculous 6 is born. No posts have been made on this movie yet. Be the first to start talking about The Ridiculous 6!